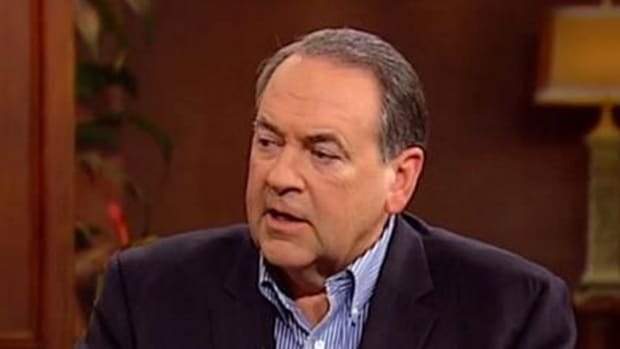 At the risk of serious overkill following Mike Huckabee's trail of idiocy these past few weeks, this latest story of stupidity really does warrant attention because it reveals a stark preview of what we should expect over the coming months as he gears up for 2016. 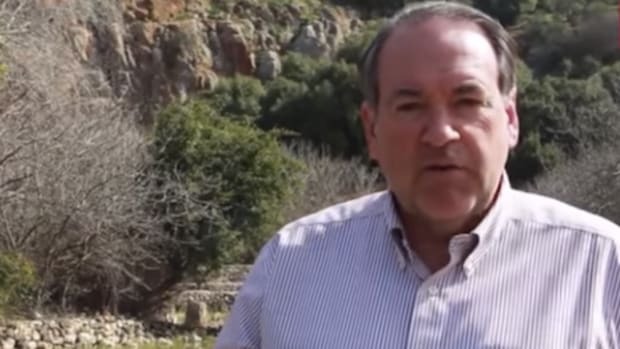 At the risk of serious overkill following Mike Huckabee&apos;s trail of idiocy these past few weeks, this latest story of stupidity really does warrant attention because it reveals a stark preview of what we should expect over the coming months as he gears up for 2016. 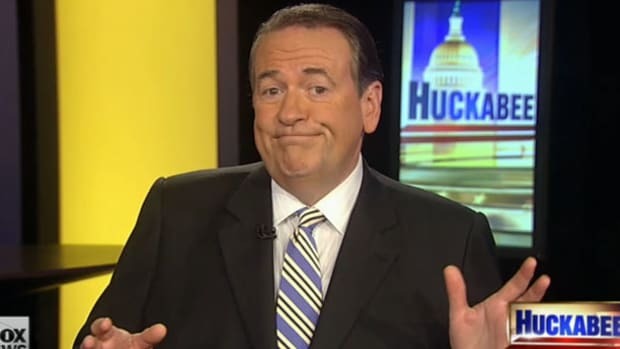 Not content to embarrass himself with subtly racist barbs atBeyoncé, bashing gays, and getting torn to shreds by Jon Stewart in public, Huckabee doubled down on right wing lunacy by going after Obama for being an anti Christian, anti semitic, Islamist on Monday morning&apos;s edition of “Fox & Friends”. And he’s against the Jews in Israel. The one people who can know that they have his undying, unfailing support would be the Muslim community, and it doesn’t matter whether it’s the radical Muslim community or the more moderate Muslim community. I assure you that a beheading is much worse than a sunburn, and this president couldn’t watch a Western from the ’50s and know the difference between the good guys and the bad guys even if John Wayne was starring in the film. Despite the overwhelming scientific evidence that the planet is rapidly heating up to the detriment of all biological life, the human population, and the global economy, Islamic terrorism is far deadlier because, er, Muslims and brown people? 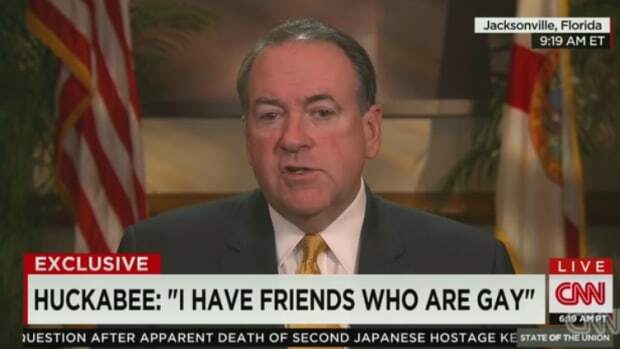 We should get used to this stream of garbage from the likes of Huckabee, who understands all to well that if you are a Republican in the modern era angling for a shot at the Presidency, you need to sound as monumentally stupid and racist as possible in order to appeal to the base. 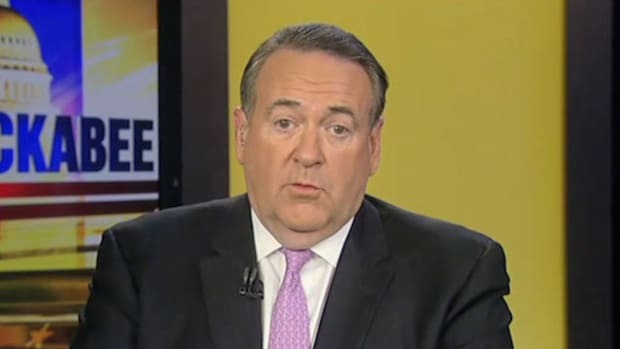 Presumably Huckabee is aware that he has virtually no chance of succeeding in either the primary or the general given his past performance and inability to raise money, but that probably isn&apos;t his goal. 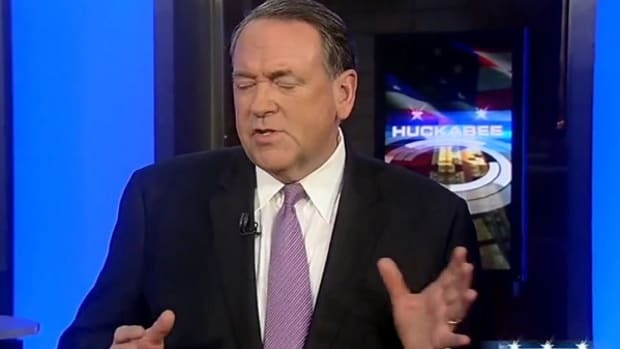 Huckabee is a savvy operator in the presidential campaigning money making industry, knowing that a good showing should shift some books and probably extend his TV career by a couple of years. Because what could be more Christian than making money off of lying, smearing and dividing people?